Ubuntu 10.10 "Maverick Meerkat" is finally released and it's clearly is a job well done. 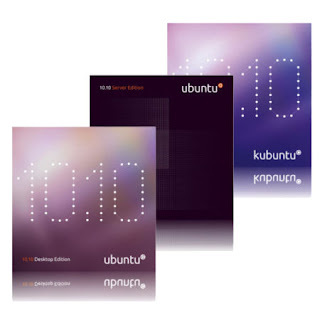 We have been covering different aspects of this Ubuntu release for the past few months and we are more than happy to inform that, Ubuntu 10.10 has surpassed our expectations. Ubuntu is getting better with every new release and this 6 month release cycle is working perfectly well for Canonical and Ubuntu. There is a definitive sense of urgency which is so unlike any other Linux distro out there. And if Google Trends data is anything near accurate, Ubuntu might just become the first ever Linux distro to overcome the popularity of Linux itself. What's New in Ubuntu 10.10? Read our Ubuntu 10.10 RC Review to get a more clearer picture. Ubuntu 10.10 Desktop Edition - Direct Download - Bit Torrent Download. Alternate Download Links and Other Details. If you are an Ubuntu fanboy, I think it's time to show some love. Ubuntu store has always been a good place to explore and now it has become even better with the introduction of new Ubuntu 10.10 T-Shirts. 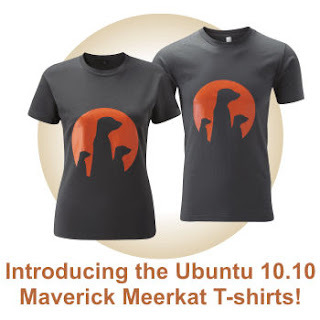 Buy Ubuntu 10.10 T-Shirts from Ubuntu Shop. Why Not Buy Ubuntu 10.10 CD's and DVD's Instead? Ubuntu Store also has this amazing collection of CD's and DVD's you might be interested in. Check them out here. We will be having a complete review and other posts about Ubuntu 10.10 "Maverick Meerkat" in the coming weeks, stay tuned. Tech Drive-in closely followed Ubuntu 10.10 in its each and every phase of development. Browse through our posts briefing various Ubuntu 10.10 updates through the last few months. 9 Things I Did After Installing Brand New Ubuntu 10.10 "Maverick Meerkat"